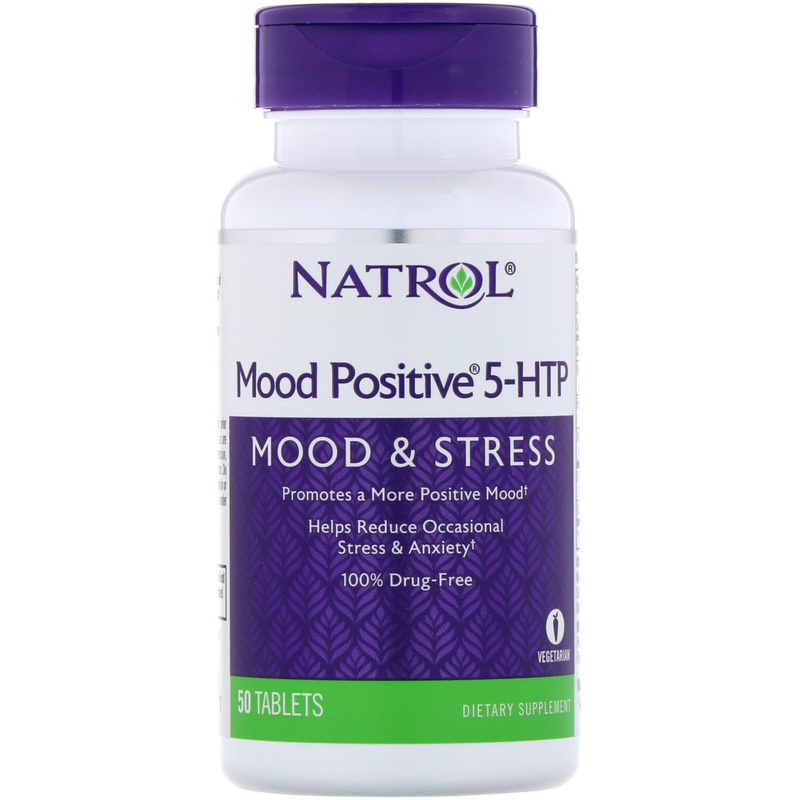 5-HTP - Participates in the body's synthesis of Serotonin. L-Theanine - Promotes the brain's alpha waves to support a deep state of relaxation without drowsiness. 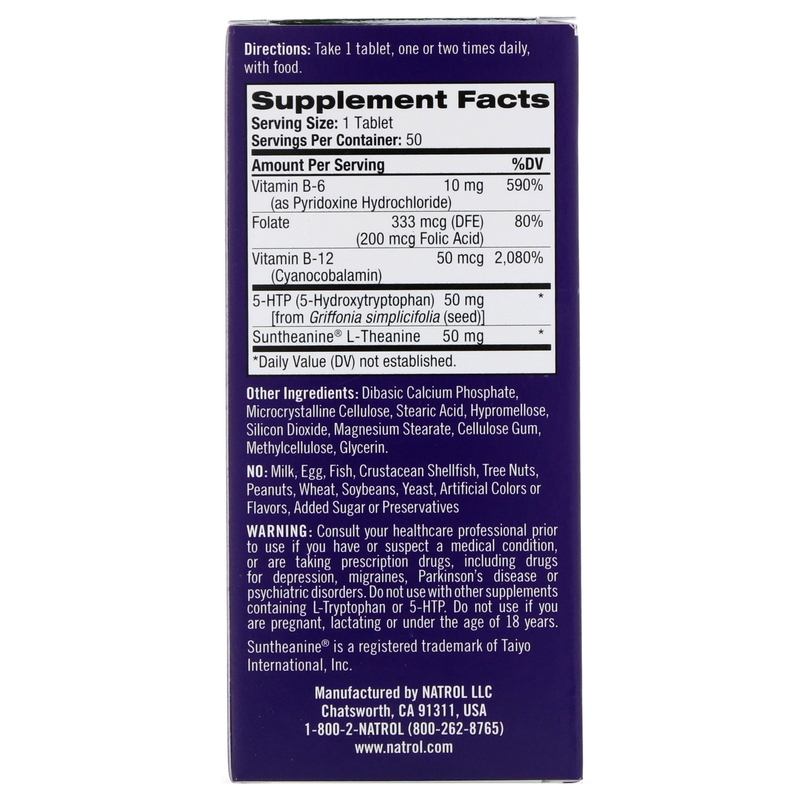 Vitamin B-12 & Folic Acid - Combat the effects of daily stress. 5-HTP and L-Theanine are 100% drug-free and non-habit forming. Includes a combination of two naturally occurring amino acids, 5-HTP and L-Theanine, that promote a calm and relaxed mood. 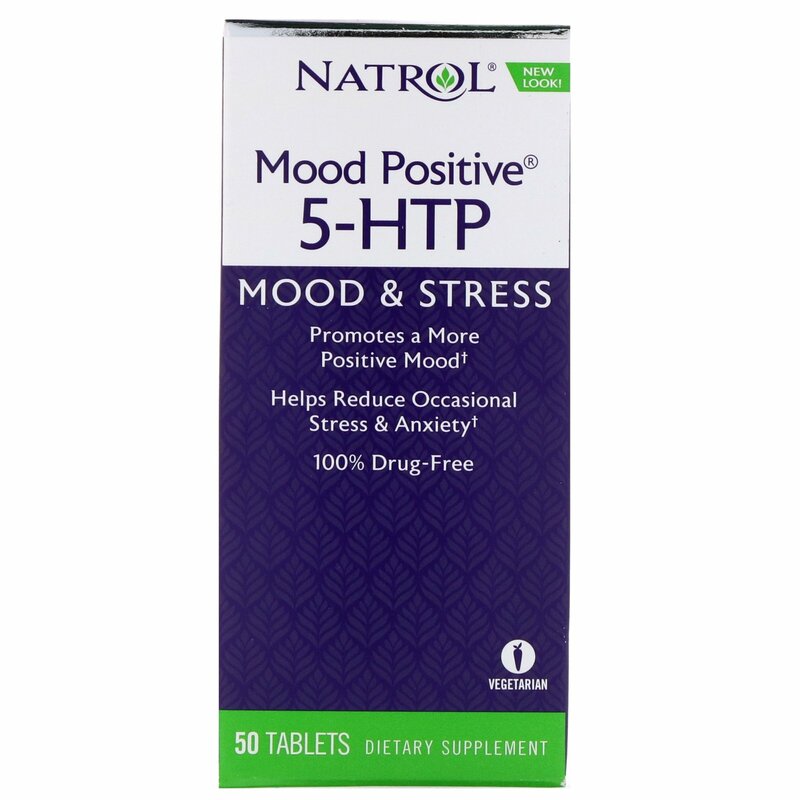 To combat the effects of stress and anxiety on the body, Natrol Mood Positive 5-HTP also includes Vitamin B-12 and Folic Acid. Dibasic calcium phosphate, microcrystalline cellulose, stearic acid, hypromellose, silicon dioxide, magnesium stearate, cellulose gum, methylcellulose, glycerin.